McNeill Whistler, 1871, Musee d'Orsay, Paris, France. Even my dad knows this painting, so that officially makes it incredibly famous. James Abbott McNeill Whistler technically entitled it Arrangement in Grey and Black: it is first and foremost, the paying off of a debt. Who would remember, who would know, this woman, if the son to whom she had given birth, had not painted it? And how could he have painted it if she had not given birth to him? This painting then, becomes a work of “fruitful circularity,” in which the mother and her son give life to one another: she gives birth to him and he uses his talent to give her (temporal) immortality in the world of art. 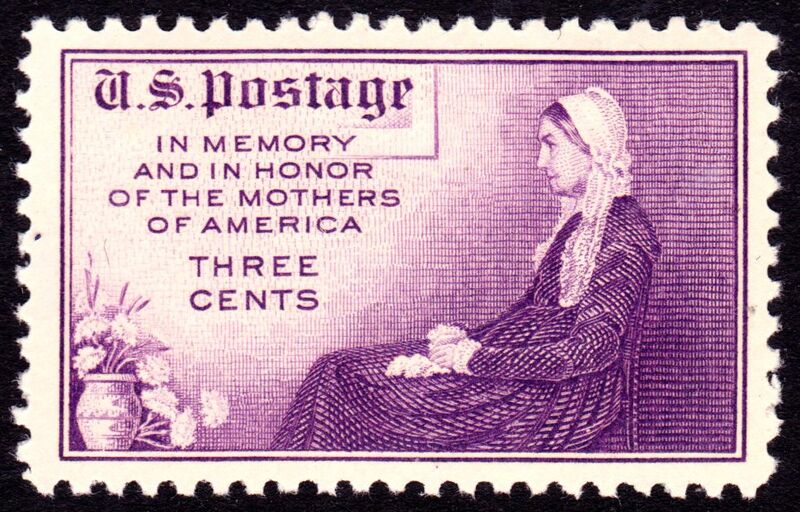 It is both a celebration of motherhood and a celebration of art. There are some important traits about this particular painting: she’s in half profile, so, symbolically, we are seeing only half of her. I think this is part of the genius of Whistler, that he knew the inherent limitations of portraiture, but instead of being held back by them (or avoiding the genre altogether) he studied it and used it to his advantage. c. 1872, Detroit Institute of Arts, Michigan. In Self-Portrait, Whistler is showing only half of himself: the half of him who is an artist. 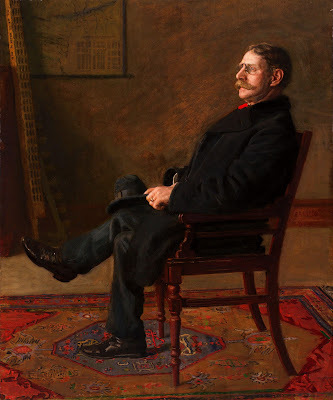 Although the painting is in three-quarters profile, he is still hiding a part of himself; the encircled, tiny dragonfly (on the brown wall, in between his hand with the brushes and his chest), was Whistler’s monogram, so not only is he showing us only a part of himself, he is showing us only his social persona as an artist and, at the same time, showing us that this is all art can really do. Yet, in the portrait of his mother, he also demonstrates how—knowing art’s limitations—they can be exploited to release it’s own knowledge. The curtain on the left side is highly symbolic: whenever a curtain appears in art, it symbolizes that something is begin hidden or revealed; in this portrait, since it hangs down and covers something up, it is hiding something, something about Anna, Whistler’s mother. The curtain on the side of the painting, literally, in the margin, suggests that she, too, has pushed all that information of herself off to the side, into the margins of her being. The “decorative” pattern (and a pattern is never, ever “just decorative,”) has a bit of the whimsical, even a bit of “wildness” in its arrangement of “swirling” lines contrasting most effectively with the overall horizontals of the rest of the portrait, suggesting that she might have been a bit wild in her earlier years, or, at least, Whistler suspects it was so. 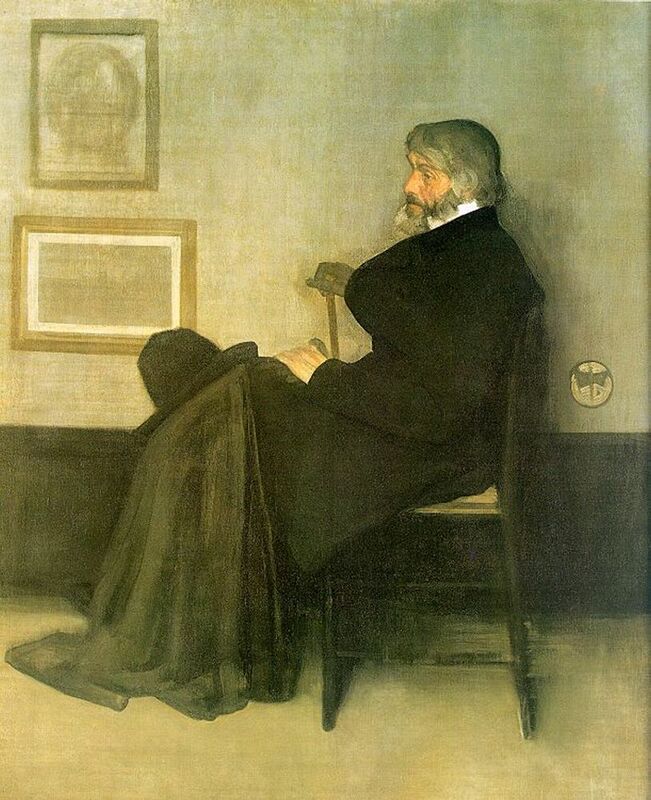 (In contrast, the portrait of Thomas Carlyle below, instead of employing a curtain again, Whistler drapes Carlyle's hat and coat over his knee, to "cover up" something about Carlyle, the part of him no one can ever know). Similarly, on the right side of the canvas, only the framed matting of another picture; we can only deduce what might have been within that frame, but, so, too, Whistler could only deduce that part of his mother’s life, her heart, her very soul; and this is the great paradox of the painting. The woman who gave birth to him, raised and nurtured him, is so unknown to him, so shrouded in a holy mystery of un-know-able-ness and yet it exists in a harmony of beautiful music and balance, soothing, not irritating. Likewise, in the Thomas Carlyle portrait below, there are two framed prints, fully visible to the viewer, which may be referencing the extensive writings of Thomas Carlyle but Whistler intentionally made the prints "un-see-able," i.e., what we think we see of Carlyle in his writings is really but a blur. as well. And so he did. But what can we know about her, about Anna Whistler? In the framed picture to the left of Anna, is a building on a riverbank; perhaps the place she grew up or was in someway dear to her. Her chair sets squarely on the floor, a sign that she, too, was solid and wouldn’t “rock back and forth” on issues. Her legs are up on a small bench; the real medicinal reason may have been poor circulation was taking over, but Whistler, the demanding artist, would not have absently permitted such a pose if it were not meaningful. If the bench indicates poor circulation in her legs, it symbolizes her will is dying and being cut off, either from depression or a holy resignation to Divine Will. The stylish white cap atop her head, signifies that she’s a woman of faith (the head symbolizes what governs us and white indicates faith), re-enforced by the white handkerchief: her hands show us her strength, and that they both hold onto the white cloth also relays that her strength comes from the Lord. (Compare this to the “dirtied” white smock Whistler wears in his self-portrait: he soils his faith by his profession and even “covers it up” at times with the brown [read: “stain”] of sin). simple rug in Whistler's Mother. Lastly, the threadbare rug upon which her chair sets appears to not only be well-worn, but stained, perhaps a sign of poverty over which she was victorious (because she is on top of it, it’s not lorded over her). 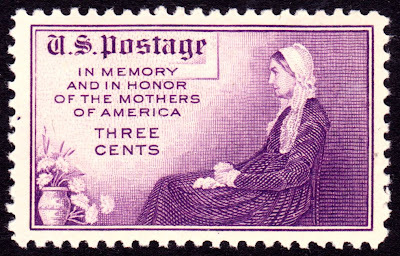 U.S. postage stamp of 1934 honoring mothers and Whistler's mother. 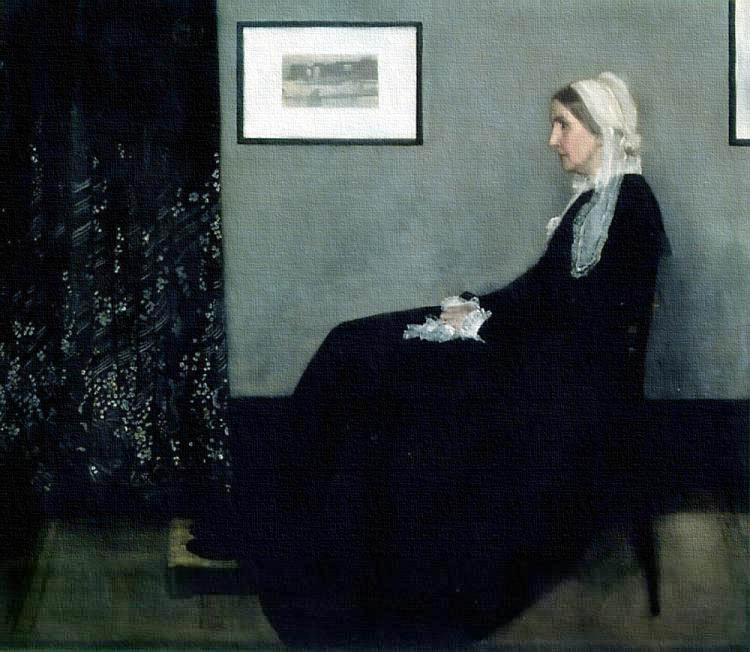 To conclude, Whistler’s portrait of his mother is not extraordinary for what he shows us, rather, what he shows us that he can’t show us, i.e., the boundaries of art in the great mystery of our personhood, especially the mystery of our own parents, who gave birth to us, and yet, how much we do not and cannot know of them; the same being true for those who, in their own turn, are parents and being able to know the children to whom they have given birth, and the great mystery of Life guiding them. I have just barely started to discuss the great qualities of the painting, just as Whistler had barely begun to realize his mother, putting her into a “real” context of personhood and mystery, without compromising her, either. Penny Dreadful: What Does the Scorpion Symbolize?